Some women may suffer from certain dental problems during their pregnancy. It’s a fact that pregnant women are at higher risk of tooth decay and gum disease than those who are not expecting. This is because, during pregnancy, the increased level of hormones can affect the response of your body to dental plaque. Just as your oral health connects to your body, dental care is crucial to the health of your developing baby. It is tremendously important to take good care of your teeth and gums during pregnancy as some oral health issues may arise, increasing your risk of complications. If you are pregnant, see your dentist as soon as you can. Let your dentist know if you are a high-risk pregnancy and how far along you are. If you are planning to become pregnant, it’s best to visit your dental team beforehand so they can take care of any dental problems beforehand. Tooth decay, gum disease and oral growths called “pregnancy tumours” are treatable, so be sure to schedule a visit to your dentist. If your dental condition requires medication or general anaesthesia, get advice from your dentist, physician or obstetrician. Your prenatal care must also involve spending some time on your dental care routine. If brushing your teeth causes vomiting, rinse your mouth with water or anti-microbial mouth rinse. Keep in mind that you are less likely to experience dental problems during pregnancy if you are already practising good oral hygiene habits. With proper at-home dental care and professional help from your dentist, coupled with a healthy lifestyle and good nutrition, your teeth and body will stay healthy during pregnancy. So will that of your baby. It is important to see your dental team during pregnancy for check-ups and cleanings, along with oral care regimen at home. Keeping your mouth healthy will ensure that you and your baby are in great condition at the time of birth. For more comprehensive advice about your pregnancy and oral health, visit your Mernda dentist at Simply Smiles Dental today. Our all-inclusive services can help prevent and improve dental issues that may affect your pregnancy. Our location is in Toorak Village, in the heart of Toorak, and serve patients from Toorak, South Yarra, Prahran, Windsor, Southbank, South Melbourne, Port Melbourne, Malvern, Albert Park, Melbourne CBD, and other metro areas. Don’t miss these latest dental offers. 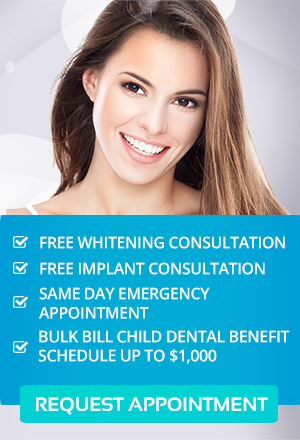 Contact us on (03) 9826 2220 or request an appointment online. Same Day Emergency Appointment.